Cloud-based offering that gives CMOs and marketing teams a better way to build plans, manage investments and improve marketing performance. Watson Campaign Automation is an AI-powered, marketing automation solution that enables marketers to deliver engaging customer journeys across digital channels. 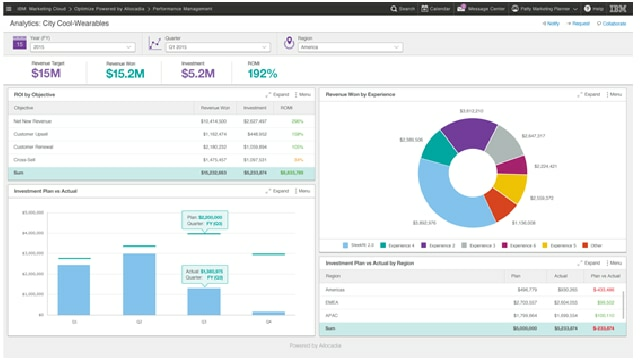 IBM Campaign is the solution sophisticated marketers use for omnichannel campaign management across the largest customer databases. Use IBM Campaign with Watson Campaign Automation for an end-to-end campaign management and digital execution solution.